Despite suffering a 3-1 loss to Porto in their last group game, Schalke 04 advanced to the Champions League knockout stages. Die Knappen managed to meet the goal, but they do not want to stop now. The Bundesliga side aim to put icing on the cake on a successful Champions League campaign with a win over Lokomotiv Moscow and we predict that they are going to take the last group game very seriously. Schalke 04 suffered a heart-breaking loss to their bitter local rivals Borussia Dortmund at the weekend and, no doubt, they are eager to regain confidence. 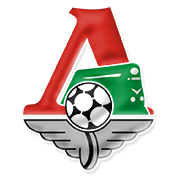 Lokomotiv Moscow are eyeing a place in the Europa League knockout stages, but seeing that die Knappen are a real force to be reckoned with at home, we believe that the Russians are going to return home empty-handed from the trip to Gelsenkirchen.